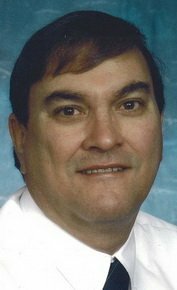 WATERLOO - Brian J. Benson, 57, of Waterloo, died Wednesday, Sept. 30, at his home. He was born July 19, 1952, in Waterloo, son of Merlin J. and Alma Yarrow Benson. He married Linda Petersen on June 30, 1972, in Waterloo. Mr. Benson graduated from Waterloo West High School in 1970 and the University of Northern Iowa in 1978. He was employed as an accountant in Waterloo for many years and was a veteran of the U.S. Air Force. Survived by: his wife; a son, Eric (Jennifer) Benson of Madison, Wis.; a daughter, Lisa (Jeremy) Hovey of Waterloo; six grandchildren, Justin, Caitlyn, Luke and Carter Benson, and Alex and Noah Hovey; and two brothers, Blake (Theresa) of Des Moines and Brad. Preceded in death by: his parents; and two brothers, Blaine and Bruce. Services: 10:30 a.m. Monday at Grace Reformed Church, Waterloo, with burial in Oak Hill Cemetery, New Hartford, where full military rites will be conducted by American Legion Post 138 and Veterans of Foreign Wars Post 1623. Public visitation from 2 to 6 p.m. today at Hagarty-Waychoff-Grarup Funeral Service on West Ridgeway, and for an hour before services Monday at the church.